The Samsung BlueHouse club brings together like-minded individuals and opinion formers, providing an opportunity to discover new possibilities, a chance to preview new and limited edition Samsung products and to enjoy some incredible experiences along the way. Grace Belgravia, situated in the heart of Belgravia, is London's first health, wellbeing and lifestyle Club for women only. The 11,500 sq. feet Club is flooded with natural light, and is both classical and contemporary in its design, with a spa, hamman, gym, Atelier, elegant restaurant, bar area and integrated Medical Clinic. The Grace Medical Clinic has a team of highly reputable doctors, specialists, practitioners and therapists in situ, is open to both men and women and membership to Grace Belgravia is not obligatory. Grace Belgravia not only offers a new vision for women's health but advanced fitness, beauty, diagnostic and preventative medicine all under one roof but also membership packages to suit every lifestyle. There is even a simple Supper Club Membership, enabling a Member to dine in the Café with both male and female guests as well as giving access to the exciting and varied events calendar. Knightsbridge Village is a private network for discerning mothers living in Knightsbridge, Kensington, Chelsea and surrounding areas. A collaborative community of like-minded mothers established to foster knowledge sharing and peer support. Membership is by invitation. Our members are busy women at the helm of successful families who connect conveniently online to network and share knowledge through a private portal, read insightful blogs delivered by an expert team, enjoy exclusive events and more. With our partnership with elite local shops and restaurants our members enjoy preferential pricing from the likes of Daphne's, Beaufort House, Matt Roberts Personal Training, Marie Chantal and Michaeljohn Hair. Experts in finding the perfect wedding venue for your special day. Country House Wedding Venues is a wedding venue finding service with its own collection of unique wedding venues in the UK, available exclusively for your big day. With wedding venues to suit all tastes from barn's to castle's and marquees to mansions you are sure to find your perfect location. The ultimate holiday kit to keep your family safe in the sun - and entertained! 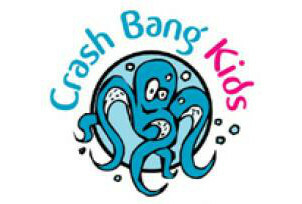 Crash Bang Kids have everything you need for your trip. 100+ SPF UV wear for children and adults, innovative pool and beach toys, waterproof wallets for your phone and ipads, plus endless practical packable solutions to ensure you enjoy every moment.